Difference between revisions of "Community Cultural Centers of San Francisco"
by Kevin B. Chen and Jaime Cortez, curators of April 27-June 9 2018 show at the San Francisco Arts Commission Gallery called "Culture Catalyst: An Exhibition Celebrating the Art and Legacy of the Neighborhood Arts Program"
In the formation of this exhibition, the curators consulted with the directors of San Francisco’s six city-owned Cultural Centers. These dynamic organizations are part of a vital living legacy of the city’s commitment to building community and equity through the arts that began with the Neighborhood Arts Program. We invite you to learn more about the mission of each nonprofit Cultural Center, and also read about the SFAC’s Native American Arts and Culture Traditions grant program. Located in the historic Fillmore Jazz District, the African American Art & Culture Complex (AAACC) is one of the premiere African American arts and cultural institutions in the San Francisco Bay Area. As a City-owned arts and Cultural Center in San Francisco dedicated to Afrocentric culture, traditions, and values, AAACC is an integral part of the African American community’s social fabric and the city of San Francisco’s cultural landscape. We are dedicated to providing a wide variety of art and cultural programming for youth and adults, including performance, visual, and digital art. In addition to programming, AAACC rents affordable events spaces in our more than 32,000 square foot facility. Our mission, as a community-based nonprofit arts and cultural organization, it to nurture and facilitate the empowerment of our community through Afrocentric artistic and cultural expression, mediums, education, and programming. We pursue these objectives through arts and cultural programming by which our organization hopes to inspire children and youth to serve as agents of change while simultaneously cultivating their leadership skills and fostering a commitment to community service and activism. Moreover, we are dedicated to encouraging, supporting and promoting the work of aspiring Bay Area artists and developing partnerships with like-minded organizations that are similarly committed to our mission-driven objectives. AAACC provides resident art companies with subsidized offices, administrative services, and access to rehearsal, performance, and exhibition space. The resident company list includes some of the most celebrated African American arts and culture organizations in the region. AAACC is also home to the 206-seat Buriel Clay Theater which serves as a site for annual theater productions, dance performances, musical concerts, film and video screenings, seminars, and workshops. We also host the Sargent Johnson and Hall of Culture galleries which are dedicated to exhibiting artwork from and about the African Diaspora. The Asian Pacific Islander Cultural Center (APICC) was founded in 1996 by representatives of five nonprofit arts groups: Asian American Dance Performances, First Voice, Asian Improv aRts, the Asian American Theater Company, and Kearny Street Workshop. APICC’s mission is to support and produce multi-disciplinary art reflective of the unique experiences of Asian Pacific Islanders living in the United States. Since 1998, APICC has promoted the artistic and organizational growth of the city’s Asian/Pacific arts community by organizing and presenting the annual United States of Asian American Festival, heightening the visibility of artists working in all disciplines—theater, music, dance, film, literature, visual arts, and more. APICC collaborates with both emerging and well-established groups, allowing these groups access to APICC’s wealth of production and fundraising know-how. In addition, APICC provides free performance and rehearsal space and general organizational consulting to the festival artists. Our goal is to nurture and empower these groups to be self-sufficient and self-reliant while providing the support they need to grow. 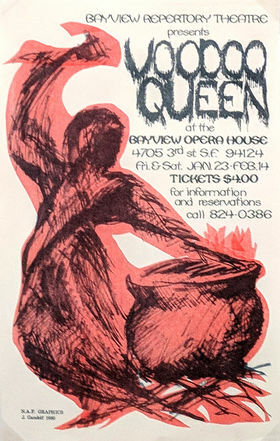 Founded in 1989 to manage programs from its historic 1888 Ruth Williams Memorial Theatre, Bayview Opera House (BVOH) is a nonprofit arts organization with a mission to serve as the culture hub in the Bayview-Hunters Point community by providing accessible, diverse, and high-quality arts education, cultural programs, and community events in a safe environment. Our goals include providing a sense of place and community; celebrating the history and achievements of the African American Bayview community; and cultivating relationships between diverse community members that are respectful, inspirational and inclusive. The BVOH Dare 2 Dream ARTS Youth Enrichment Program provides high quality arts education to Bayview youth, where the arts have largely been eliminated from the regular school curriculum. Students attend classes during crucial out-of-school time, during summer and after school; preschoolers participate during the day. Our classes are taught by professional teaching artists in a variety of disciplines including media arts such as video, photography, and music recording to traditional arts such as painting, graffiti art, dance, theatre, and Orff music ensemble. The subject matter of the classes always relates to the kids heritage, history and interests, as is shown in this mural project. The Mission Cultural Center for Latino Arts (MCCLA) was established in 1977 by artists and community activists with a shared vision to promote, preserve, and develop the Latino cultural arts that reflect the living tradition and experiences of the Chicano, Central and South American, and Caribbean people. MCCLA makes the arts accessible as an essential element to the community’s development and well-being. 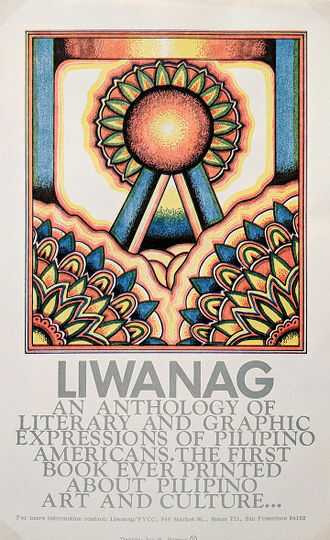 United States Poet Laureate Juan Felipe Herrera wrote about the founding of MCCLA in his essay “Riffs on Mission District Raza Writers,” in Reclaiming San Francisco: History, Politics, Culture, City Lights Books, San Francisco, CA, 1998. “The idea of having an arts center in the Mission had been in debate since 1972. At the time, the City Council was funding a major arts complex in the city--the Davies Performing and Arts Center--and felt that every “ethnic” neighborhood should have a separate neighborhood mini-arts center. By 1976 the idea was being debated by competing Mission cultural arts leaders. 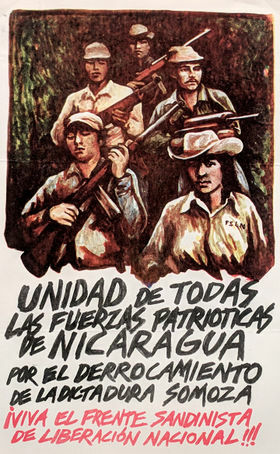 After heated debates and the formation of a united front, the Mission Arts Alliance, led by “Gato” Murguia began to formulate the actual Centroproposal. The coalition met at St. Peters church on Alabama Street for its first meeting. In its 41st year, MCCLA continues to serve its mission through a diverse panoply of programing which includes: architecture, crafts, dance, drama, drawing, graphics, literature, music, painting, and poetry. MCCLA makes art accessible to the community and celebrates Latino culture as reflected in all of its current manifestations: day-to-day life, the ceremonies of our indigenous peoples, and within an intercultural and transcultural perspective. Despite the rapid change and gentrification that has altered the reach of community centers, MCCLA continues to be a vehicle for the presentation and preservation of Chicano/a and Latino/a cultural history. Founded in 1993, Queer Cultural Center (QCC) is a multiracial community-building organization that fosters the artistic, economic and cultural development of San Francisco’s LGBT community. We implement our mission by operating programs that commission and present Queer artists, promote the development of culturally diverse Queer arts organizations, and document significant Queer arts events taking place in San Francisco. Since 1998, QCC has organized the month-long National Queer Arts Festival that cumulatively has presented more than 2,000 Queer artists; managed a technical assistance program which diversifies the city’s Queer arts community by providing emerging trans, lesbian, and Queer arts organizations of color access to affordable grantwriting, financial management, fiscal sponsorship and strategic planning services; operated a commissioning program, Creating Queer Community, that has showcased approximately 250 LGBTQ artists who create new works that authentically express the experiences of our community’s most marginalized segments and are presented at our annual festival. Additionally, Queer Conversations on Culture & the Arts, our humanities program in conjunction with California College of the Arts and UC Berkeley College of Environmental Design, brings together locally and nationally renowned artists, writers, filmmakers, and scholars to discuss a broad range of LGBTQ topics. Last year, more than 300,000 people visited qqc2.org which contains over 20,500 pages of material documenting the historical evolution of Queer art and culture in San Francisco in addition to showcasing work from the festival via our YouTube and Facebook pages. One of six City-supported Cultural Centers, SOMArts Cultural Center was founded during the passionate activism in the 1970s by leaders who were also involved in the Civil Rights movement. We maintain this historic commitment to cultural equity and social justice in the artistic programs we produce and the support services we provide to Bay Area artists and organizations. SOMArts leverages the power of art as a tool for social change through multi-disciplinary events and exhibitions. Equipping artists with the space, mentorship, and support they need to shift perspectives and innovate solutions, SOMArts fosters access to arts and culture for collective liberation and self-determination. We believe the arts are central to a thriving democracy. When given the resources and support they need, artists have the potential to innovate solutions to some of our most pressing social concerns, bringing people together across difference, nurturing empathy for diverse perspectives, and encouraging cross-sector collaboration. SOMArts envisions a world where everyone has access to the transformative power of the arts, and where artists are valued and centered as key stakeholders in creating a more just, equitable, and sustainable society. SOMArts values self-representation. By centering the voices of artists who have historically been denied opportunities in contemporary art—particularly artists of color, queer and trans, and women artists—SOMArts provides a platform for artists to position themselves as the authors of their own stories and explore the social issues that are most timely and relevant to them. SOMArts values equity in access to arts and culture regardless of income, embodying this commitment by producing free and low-cost arts events throughout the year. SOMArts values creativity and innovation, often providing a creative home for artists to incubate work on social justice issues that would be considered too political or risky to present at other institutions. The Native American Arts and Cultural Traditions (NAACT) grant program was launched in 2008 by the San Francisco Arts Commission. NAACT was designed to provide a pathway for Native American artists and organizations in San Francisco to access existing funding and technical assistance resources, and participate in broader arts policy discussions. At this time, NAACT is not a stand-alone grant program, but those funds have been woven into other SFAC grant programs in order to provide continuing support to Native American artists and organizations. This is a temporary measure, and for the past three years, the San Francisco Arts Commission has provided capacity building support and seed monies in hopes of re-creating an American Indian Cultural Center in San Francisco. The NAACT grants support the work of artists and organizations authentically connected to the Native American communities of San Francisco. The grants support both traditional works (beadwork, regalia design and fabrication, canoe construction) as well as more contemporary expressions of Native American artists (animation, mixed media art, Native American youth publications). The NAACT grant program has proudly supported programs like the Cultural Conservancy’s Guardians of the Waters Program, which helps young Indigenous adults explore the connections between Native arts, Native identity, and eco-cultural health and healing. The program has also supported the Bay Area American Indian Two Spirits annual LGBT-friendly powwow and the innovative hula of Nā Lei Hulu I Ka Wēkiu. NAACT is represented in this exhibition by the mixed media art of Geri Montano (Dineh), the drawings and paintings of Katie Dorame (Gabrielino/Tongva) and the traditional tule reed canoe made by traditional practitioner Tima Link (Chumash). The diverse content and materials of these works suggest the diversity of contemporary Native American creative expression in San Francisco.